The term Thermo-mechanical Treatment has derived from metallurgical process that incorporatesÂ work-hardening and heat treatment in a single process. 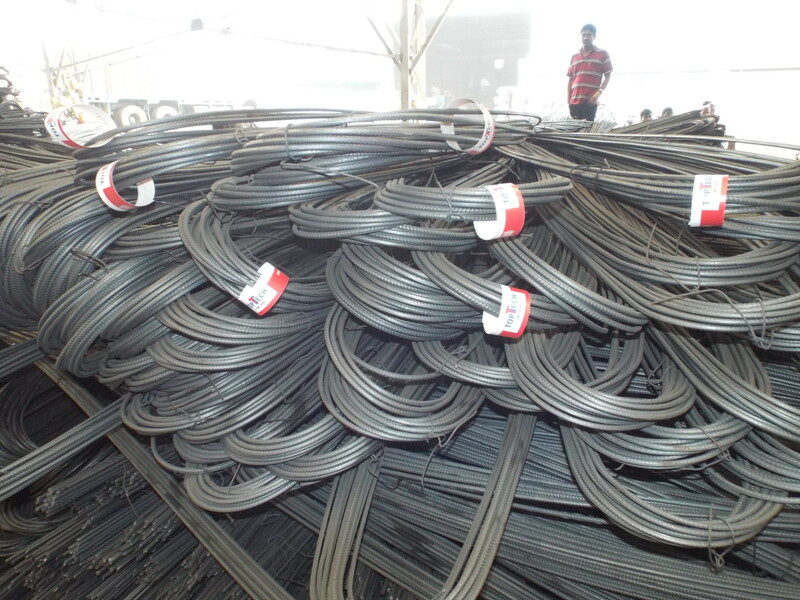 The principle advantage of this process isÂ that the steel rebar do not require cold twisting, which makes them superiorly resistant to corrosion. TMT bars are one of the most important elements of a RCC structure, as the concrete, withoutÂ proper reinforcement through a good quality TMT bar, cannot hold the tensile load. Annular zone of bainite middle layer. This is the perfect micro structure of a good quality construction TMT bar. 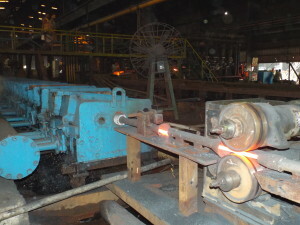 Billets are re-heated at a temperature in the re-heating furnace. 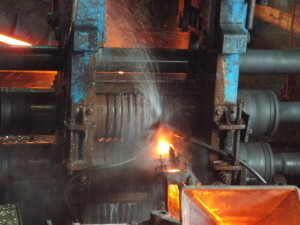 Heated Billets are rolled intoÂ specific sections of finished material under automated rolling process through block mill.Â Manufacturing of thermo-mechanically treated steel rebar goes through three successive stages,Â which involves plastic deformation of steel through an austenitic stage, quenching and further self-tempering in automated cooling bed. 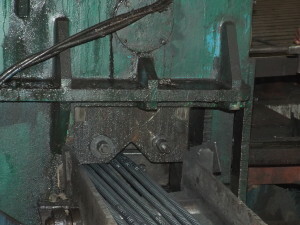 â€œTempcore Process â€œ For Quenching: The quenching process increases the tensile strength and highÂ ductility and weldability of the steel TMT bars. The process quenches the surface layer of the hotÂ rolled bar that pressurizes and deforms the micro crystal structure of the intermediate layers andÂ guarantees standardized mechanical properties. It concurrently begins to temper the quenchedÂ layers using heat from the barâ€™s core. This helps in forming the accurate crystal structure, and theÂ core stays hot and austentic at the same time. Afterwards it is rolled to trim down the billets to theÂ final shape and size of TMT bars. Self-tempering: Here the bar leaves the quench box with a temperature gradient through its crossÂ section. Consequently, heat flows from the barâ€™s centre to its surface and the core remains hotterÂ than the outer surface. This process toughens the steel by converting the brittleÂ martensite intoÂ tempered martensite. Atmospheric cooling: This particular process takes place at the cooling bed, where it automaticallyÂ tempers the authentic core and transforms it into a ductile core of the ferrite. This results in a strong,Â tough and tempered martensite surface layer of the steel TMT bar. This ensures the perfect blend ofÂ ferrite and pearlite core a unique combination of strength and ductility. After the thermo-mechanical treatment is processed, they are straightened and cut into differentÂ lengths and sizes through cold shear. The steel rebar is then sent for quality inspection, in terms of physical properties and chemicalÂ composition. The certified finished products are then properly stacked and stored and laterÂ dispatched as per customer and dealersâ€™ requirements.